This week marks Week 1 of the One Room Challenge. Never heard of it? If not, you’re in for a treat! 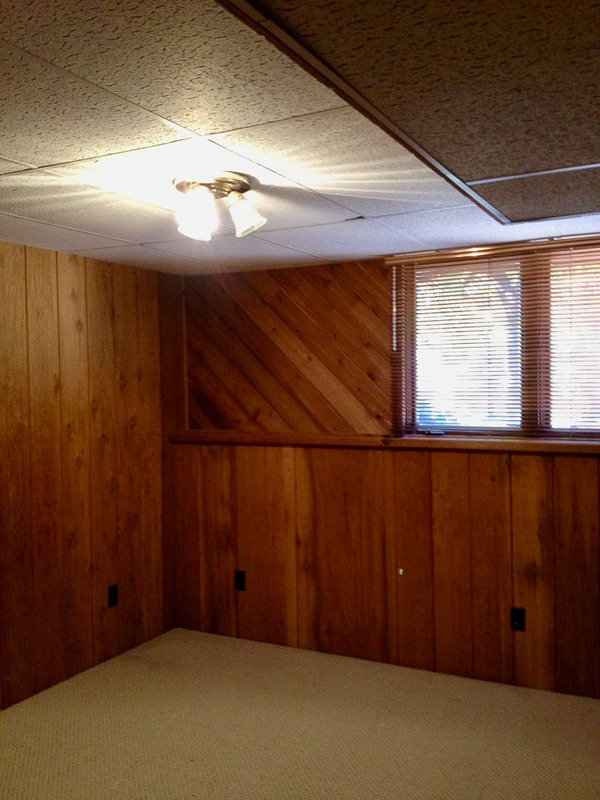 It’s a 6 week challenge to transform a space from blah to Aaahhh. We first participated in ORC a few years back when we gave our little shed a fresh makeover. Read more about ORC here, check out the featured designers here, and ALL of the guest participants here. Before I lose you to all of the other fabulous links above, let me brief you on the project we’ve got cooking. We have this room we have dubbed as our “home gym”. It’s current state is more like recreational-closet-hit-by-tornado. More on that in just a bit. 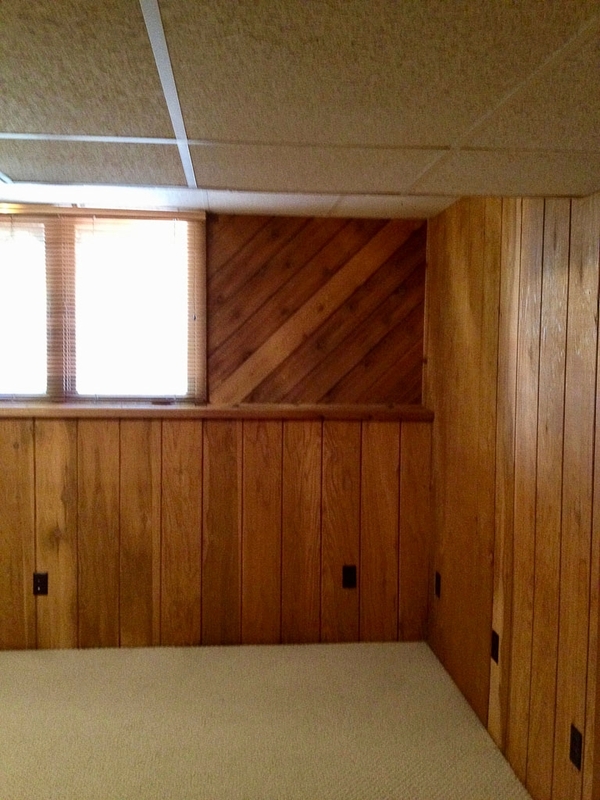 The gallery below showcases the photos I took when we did our home inspection, back in 2012. Side note: notice how the photo quality has drastically changed on the iPhone over the years. 2012 vs 2018. Mind.Blown. Upon moving in, Paul claimed this room as his own. 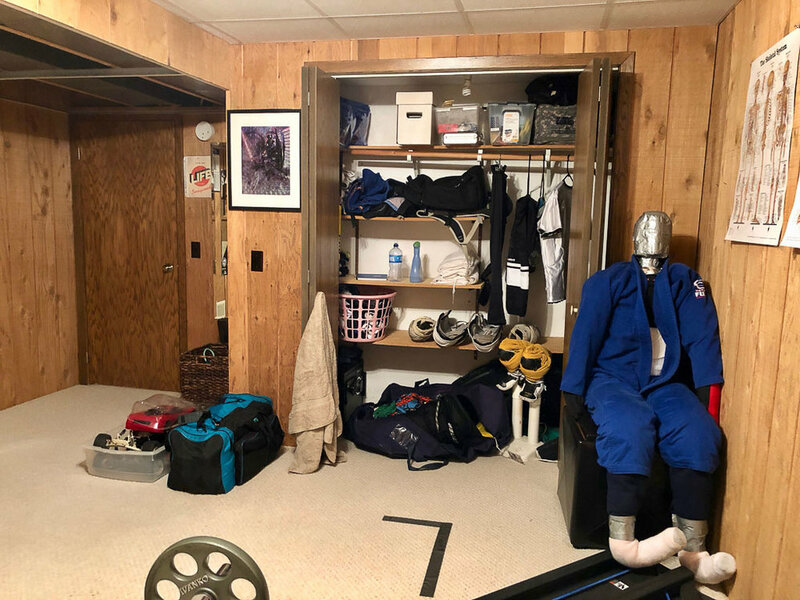 He used the closet to store his hockey gear, jiu jitsu gis and other random items. 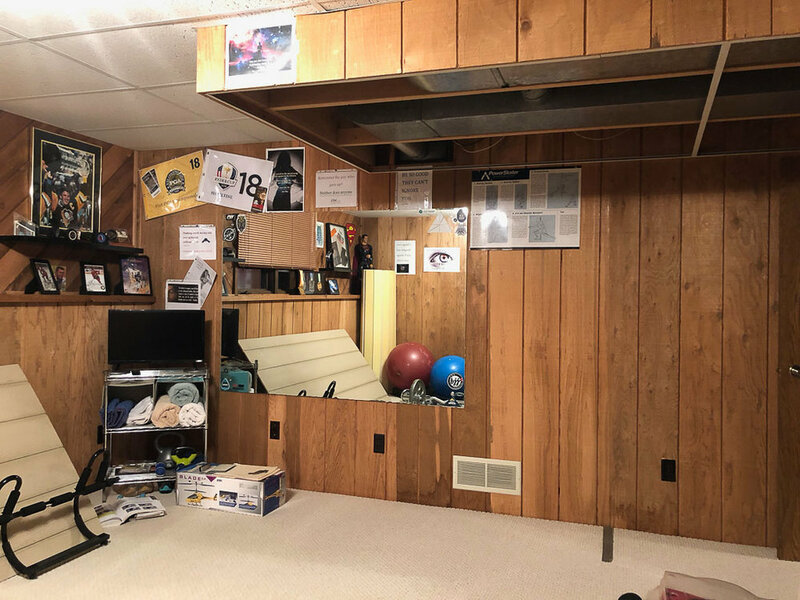 He moved in his free weights, hockey skate machine, rolling mats, hung a mirror and several posters. 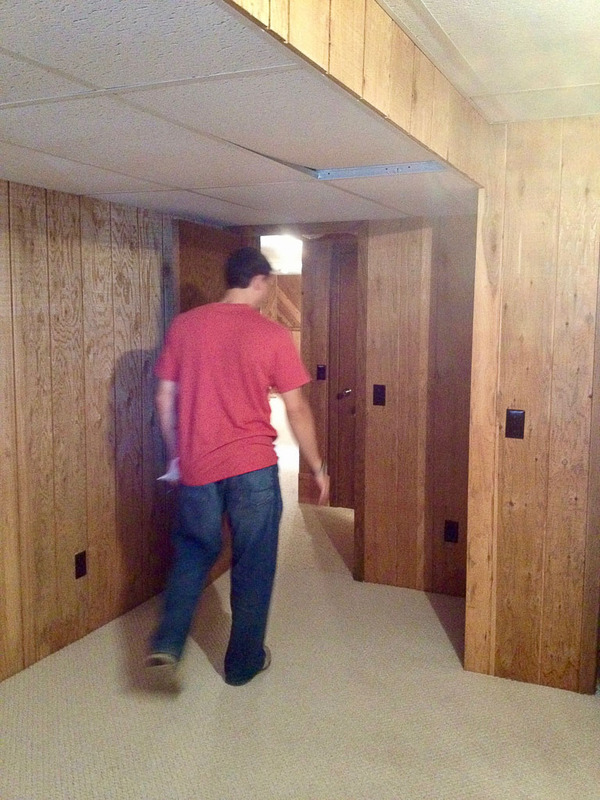 At one point, we started tearing down the drop ceiling. Over the years, the room has collected more random items. Namely, my “girly” workout items such as yoga mats, tiny weights, kettle bells and a small TV. The best thing I ever did was bring in a piece of exterior siding to use as my make-shift dance floor. Tap dancing doesn’t work great on carpet and Paul wouldn’t let me rip up the carpet. Haha. Welcome to our messy room. Did you find my tap dancing floor, yet?! As you can see, it’s a little chaotic and boring. The blue and silver guy is “Bob”, Paul’s grappling dummy. He usually frightens first-timers as he is life size. So, what’s the plan? 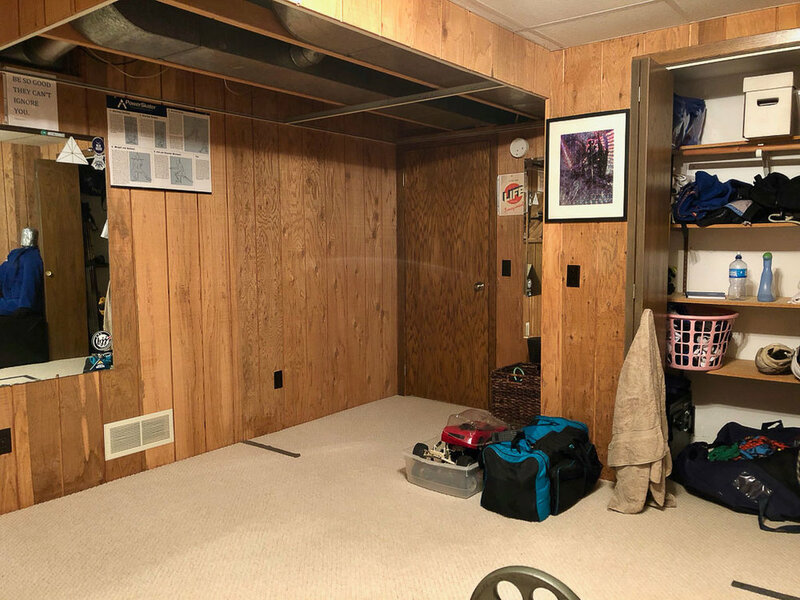 In a nutshell, the carpet and grid ceiling are going away, the closet is getting a makeover, new lighting, better storage and improved layout. More on this next week. Let’s move onto more soothing images, shall we? 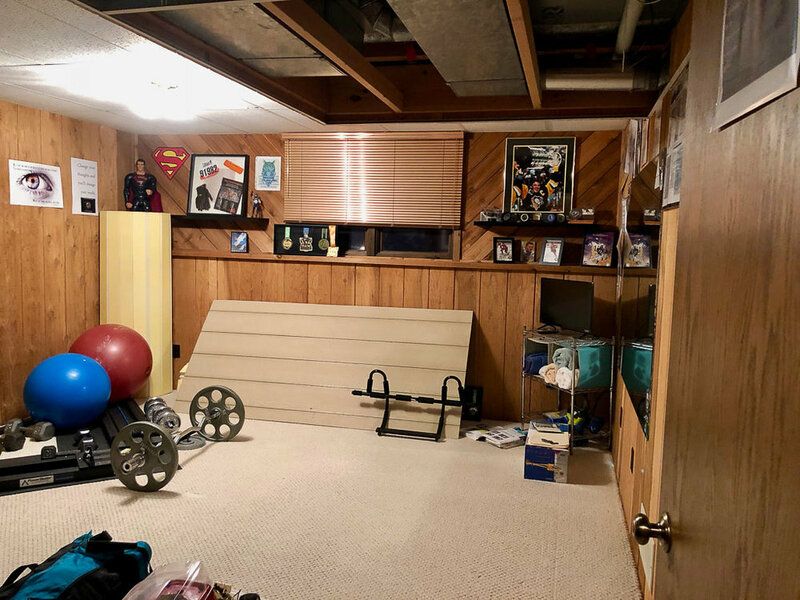 When I saw this photo of Michelle Adam’s home gym, I was instantly inspired. Isn’t that space amazing? From that inspiration came my vision below. We’re hoping for a brighter space with a lot of texture, neutrals and inspiration to keep moving our bodies. I am normally drawn to color, but lately the neutral rooms have my eye. We’re excited to share the progress over the next 6 weeks. Wish us luck and be sure to follow along on Insta, FB or right here on our blog. Oh, and don’t forget to pop over and see all of the other guest participants projects here.